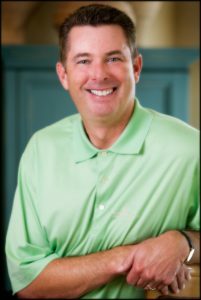 Tim Cusick serves as the Director of Golf Instruction at the award-winning Four Seasons Resort and Club and the acclaimed Four Seasons Golf School. Cusick joined the Four Seasons in 2005. He formerly managed the golf instruction staff for Hank Haney Golf, Inc. where he was in charge of hiring and training the golf staff at seven facilities in Texas. He worked closely with the renowned golf teacher for twenty-three years. He also has previous experience at well-known golf facilities that include: PGA West Resort Courses, Alta Mesa Country Club, Elk River Golf Club and Pinehurst Hotel and Country Club. Cusick also served as Assistant Men's Golf Coach at Southern Methodist University from 1993 to 1997. Under Tim's stewardship more than one hundred fifty junior golfers have secured college golf scholarships. He has coached players that have won on all the major professional golf tours. Tim has coached: Bruce Crampton, Michael Allen, Brad Elder, Kelli Kuehne, Hank Kuehne, Kris Tschetter, Hollis Stacy and Sandra Palmer as well as world class amateur Trip Kuehne. Cusick travels worldwide to train other golf instructors to improve their craft through his Coaching Champions seminars. His seminars have been conducted in Denmark, Korea, Germany, Sweden and Mexico as well as at the Four Seasons Resort and Club. Cusick describes his philosophy of golf instruction as one based on improving the student's ball flight and impact by swinging on the correct plane. ultimately, a student wants to hit better golf shots. Getting the golf club to swing on the plane they have established by a proper position allows them to hit their straightest, most consistent golf shots. Tim enjoys teaching golf because he realizes that for most people it is a recreational activity. "If I can help them enjoy themselves more by playing better golf, then I have accomplished my goal." 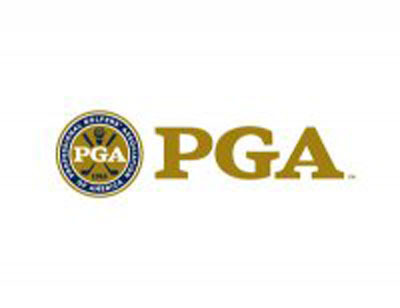 He has been an accredited member of the PGA of America since 1989. In 2017 Tim became Certified by the PGA of America for Teaching/Coaching. One of only 6% of the 29,000 PGA Professionals to do so. He was named a Best Teacher in Texas by Golf Digest (2011-2017), Top Teacher in the South Central Region by Golf Magazine, Best Public Facility Teacher by Avid Golfer, Top 10 in Dallas by Lessons.com and is a three time winner of the Northern Texas PGA's Teacher of the Year (2005, 2009, 2015). He was also recipient of the NTPGA's prestigious Horton Smith Award which is given in special recognition for outstanding and continuing contributions to professional golf education. Tim is a regular contributor to Avid Golfer magazine in Dallas. He has also contributed columns for Golf for Women, Golf Tips Magazine and Celeb Life. He has also been a featured guest on The Golf Channel, ESPN, The Golfer's Home and Fox Sports Radio.